~My Lil' Voice~: [Hot! Debut Diary] Teen Top - Emotional Voice Niel! [Hot! Debut Diary] Teen Top - Emotional Voice Niel! He was dreaming of becoming a football player but when he saw the child actor Yoo Seungho in the movie ‘The Way Home’ when he was in 4th grade he became interested in acting. Because Niel’s mother was supporting his son who wanted to become actor he was able to receive a training at a actor’s school. In 5th grade he passed a full-scale audition and began in the drama Children’s Chorus. When Niel heard Michael Jackson’s Ben at the radio he began to fall for Michael Jackson’s beautiful voice. Since this time he wanted to become a singer like Mickael Jackson, who can make the whole world become one. So he began to go at a singing academy. While he went to this singing academy and also studied the singing basics. One week-end he went with his family at the amusement park. At this amusement park there was a small open-air stage, they were in the middle of a public audition, he peeked into the reception desk and he filled the participation form he was half curious half expecting. He was so nervous that he couldn’t even remember how to sing. And then he asked at the audition office if he could make another try at the public audition. While thinking of how he lost the opportunity that was so hard to get he thought about give up on his dream to become singer. Niel who has ‘More special lips than look’ said “In the past I was embarrassed about my thick lips and people teased e a lot about it but now people remember me thanks to my lips, fans said that my lips were the point of my charm, now I have more confidence about my lips.” as he innocently smiled. 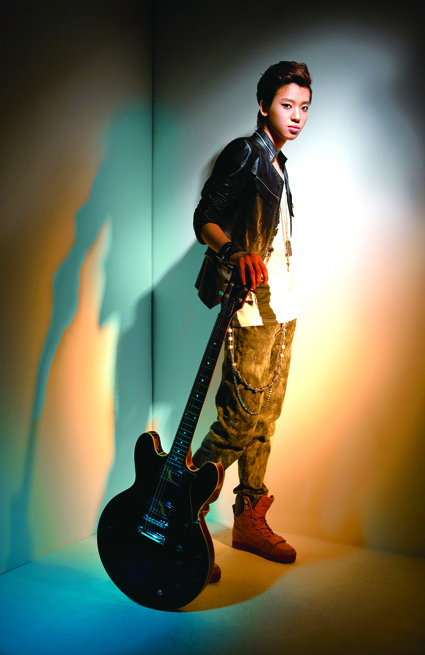 On last April, Niel heard from MTV’s production crew that his voice “reminds of young Michael Jackson’s voice”. He said that it was the happiest moment he had from when he began singing. ‘I want to sing a song that can make the whole world become one like Michael Jackson’s rich music’.